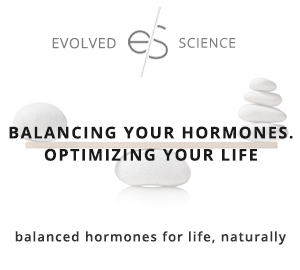 We are a group of practicing physicians and researchers who have dedicated a large portion of our careers to the safe and scientifically based practice of utilizing bioidentical hormone therapies to address health issues in women. 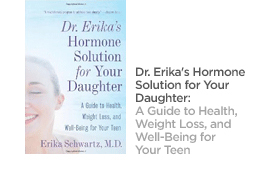 Some of us are quoted in your new book: Ageless: The Naked Truth About Bioidentical Hormones (Crown, October 2006). We recognize the role you have played in raising awareness about the use of biodentical hormone therapy. However, we want to ensure that women are not confused, nor harmed by some of the non-medical, misleading and unsubstantiated information contained in your book. While some of us were interviewed for the book, a significant portion of the material in the book relies on information and opinion from T.S. Wiley, an actress with a B.A. in anthropology. Wiley has no medical or clinical qualifications. To our dismay, Wiley dispenses gratuitous advice on significant medical issues including the use of bioidentical hormone therapies, areas that are legally and ethically the domain of licensed medical practitioners. Many of the claims throughout the book are scientifically unproven and dangerous. 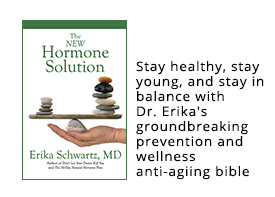 By mixing quotes from qualified physicians who are experts in their fields and bioidentical hormone treatments, with those of a person with no medical or scientific background, this book will further confuse women and we believe, may potentially put their health at risk. We believe Ageless is detrimental and dangerous to the thousands of women who read it because the book freely and repeatedly blurs the line of medical ethics and science with hearsay. The so-called "protocols" endorsed and promulgated throughout the book may expose women to serious health dangers. 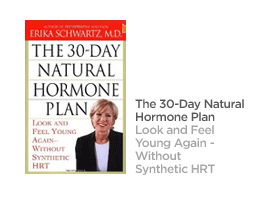 They offer a "one size fits all" approach, endorsing dangerously high levels of estrogen. 1. Biodentical hormones are prescription medications that can only be prescribed by a licensed physician or nurse practitioner (in certain states). 2. Not all women need to supplement their hormones: There are a range of nutritional and lifestyle approaches that can help women improve their health and hormone balance. 3. If considering biodentical hormone therapy, women (and men) should work with qualified health professionals experienced and trained in the treatments with bioidentical hormones, a trained medical practitioner who understands disease states, their diagnosis and treatment. In addition, if bioidentical hormone therapy is prescribed it should be based on an assessment of the woman's hormone levels and then physiologic doses should be prescribed. 4. The practice of utilizing bioidentical hormone therapies is part of developing areas in conventional medicine, women's health and integrative medicine. It is not the purview of alternative practices by nonphysicians or lay experimenters. Our collective goal is to advance our knowledge base of information on beneficial, efficacious and safe options for women to alleviate menopausal symptoms and help them achieve their best health status. 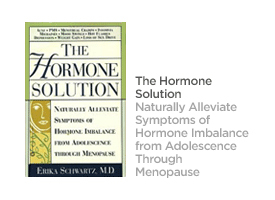 Bioidentical hormone therapy is proving to be a beneficial treatment approach for many women. are committed to helping women by providing safe, scientifically and clinically sound treatments. We encourage every woman to take responsibility for creating a positive health outcome in her own life. To insure this outcome, women must educate themselves and carefully choose to work with a licensed medical provider in the area of prescription bioidentical hormone treatments.